Nineteenth century globetrotters converged upon the steaming springs which bubbled through Radium's rock crevices and transformed raw wilderness into a mountain mecca. Sheer cliffs, surging snow-fed streams and lush river basins characterize the area and provide sanctuary to thriving populations of wolf, coyote, cougar, lynx, wolverine and grizzly bear. 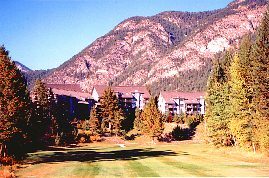 Radium offers great hospitality as well as superb restaurants. Accommodation ranges from modest campsites to Four Diamond resorts. 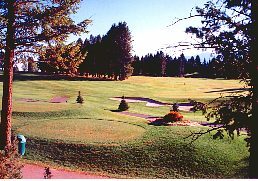 Accommodations: There is a wide variety of hotels, motels, lodges, cottages, campgrounds, and RV parks for the traveller to choose from in Radium Hot Springs. Access: Radium Hot Springs is serviced by commercial bus line. 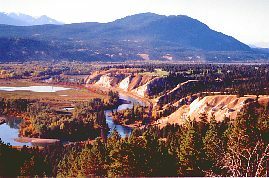 Highway 95, a well maintained route, runs south to Cranbrook and north to Golden. Radium has a airstrip, but no commercial flights.